Claimed for their “gusto, comradeship and sharp attack” (The Times) and “blazing and unusually forthright performance” (The Telegraph) the Barbican Quartet was founded at the Guildhall School of Music and Drama, and it consists of violinists Amarins Wierdsma and Tim Crawford, violist Christoph Slenczka and cellist Yoanna Prodanova. 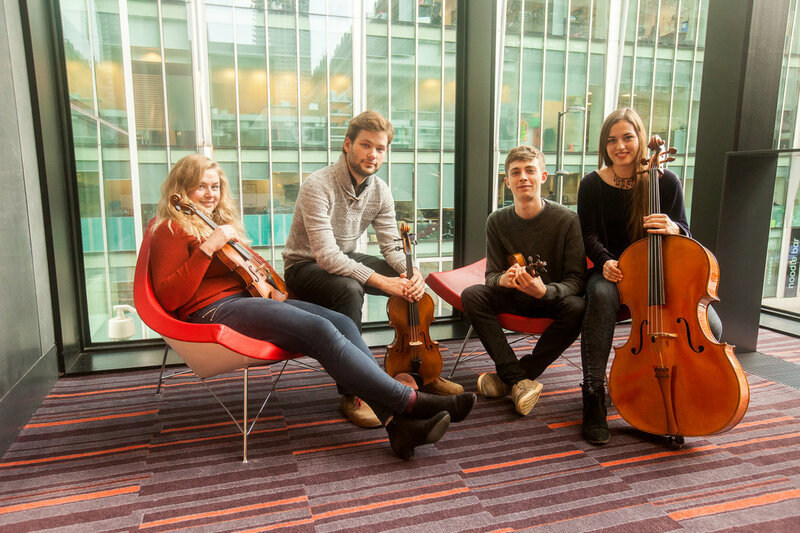 Winners of the 2018 Saint Martin in the Fields chamber music competition, the young quartet made their debut at Wigmore Hall in 2017 thanks to the Maisie Lewis Award. They regularly performs in the UK and Europe in such halls as the Barbican Hall, Milton Court Hall, Casa de Musica Porto, St James’s Piccadilly and Ashmolean Museum. 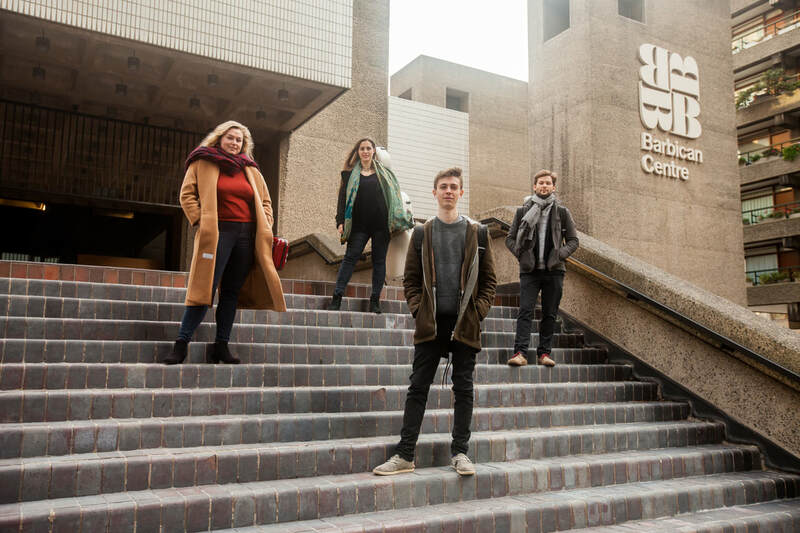 They were 2016 Park Lane Group artists and have appeared in such festivals as the IMS Prussia Cove, Harmos Festival,Portugal and undertaken a residency in Aldeburgh in 2017. Their performances have been broadcast on BBC Radio 3 as a part of the Barbican Total Immersion and BBC Proms.